Today we would like to share a found gem with you. We found this couch while out shopping for finishes. 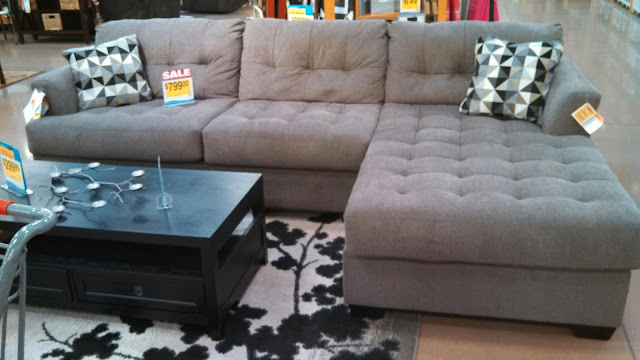 Its s beautiful grey tufted couch with chaise lounge. Great for entertaining or relaxing. Have a wonderful night and drive safe.